A few months ago, a Facebook friend and I started a Facebook group to help autistic Christians grow in the faith. I decided I should interview one of my members. The member I’ve chosen is fellow Catholic Beth Vosskuhler. 1. Are you a cradle Catholic or a convert? I am a cradle Catholic, but have considered converting a few times before I decided on Catholicism for good in my 20s. My home life was great. I was bullied a lot at school, though. 3. What evidence can you give for God’s existence? How else do you explain the Big Bang?! 4. Are there any specific devotions you practice as a Catholic? I try to say the rosary regularly, but it tends to be irregular because my discipline is not the best. I can’t really pick a favorite, but I will tell you that my confirmation name is Cecilia because music is very important to me. 7. What is your favorite biblical passage? (Oddly, not from John, but Matthew) Come to me, all you who find life burdensome, and I will give you rest. Take My yoke upon you and learn from me, for I am meek of heart. And you will find rest, for My yoke is easy and my burthen light. 8. Who in your life makes you want to be a better person? My husband. I feel being a good wife for him is very important. I am a private music teacher. I am certified to teach in the schools, where I could actually make a living, but I can’t seem to get past job interviews. 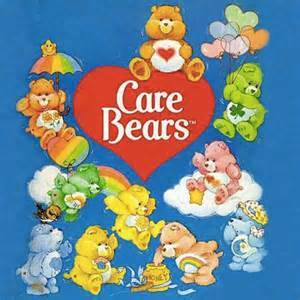 This year marks the 30th anniversary of the Care Bears cartoon. I was a big fan of the franchise in the 80’s, so I thought I’d share my memories. Besides, with all the mocking the franchise usually receives these days, it’s time it received some praise. However, to really start this right, I need to turn back the clock not to 1985, when the cartoon officially started, but to 1981. That was when the American Greeting Cards Company’s research and development program Those Characters From Cleveland created the characters where they made their first appearance. Back then, Those Characters From Cleveland was a huge property. In addition, they had other successes like Popples, Madballs, and Strawberry Shortcake, as well as some ideas that never really went anywhere, like the Get-Along Gang. The Care Bears and Strawberry Shortcake were such a big hit that they gained the attention of Kenner, the makers of the original Star Wars toys. 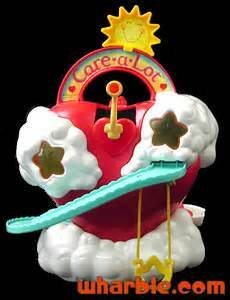 I actually had every single figurine that Kenner made, along with the Care-a-Lot playset and I think I had one Cloud Car too. I even had characters you rarely saw in the cartoon that would come later, like the Cloudkeeper, Proud-heart Cat, and Birthday Bear. The Fictional Spectrum: Is Spider-man Autistic? Spider-man is one of my all-time favorite superheroes. I first became a fan in the early 80’s, when ABC aired Spider-man and His Amazing Friends, which had him teaming up with Firestar and Iceman. The series was a lot of fun and a great introduction to the Marvel Universe, because each week we would not only meet many of Spider-man’s enemies, but also other heroes like The Incredible Hulk and Dr. Strange. It eventually led to me reading the actual comic book as well, long after the series ran its course. My love of Spider-man led me to watch the movies Sony made using the characters (In case you’re wondering, I prefer the Toby Maguire trilogy over Andrew Garcia because those movies actually went somewhere. The Amazing movies sputtered out just when they were getting good.) However, as a true Marvel fan, I kept wanting Sony to give the movie rights to Marvel, especially since Marvel was making movies out of so many of their other heroes. One of the best things about the Marvel Universe was the huge events where the different heroes would fight alongside each other. To me, a Marvel movie universe without Spider-man made no sense, he’s such an iconic character in the universe. The Avengers movies were all leading up to the “Civil War” arc, to be used in the next Captain America movie of the same name. This would mean that Spider-man would be needed because he played a key role in the story. Marvel began negotiations so they could have the character back, and now both Sony and Paramount are making the movie. I’ve also heard that there’s a possibility that Spider-man will be revealed to be autistic. 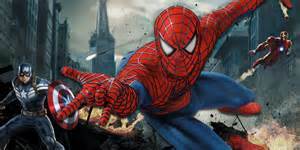 Author rocklobsterjwtPosted on October 17, 2015 Categories autism, Film Freak, The Fictional SpectrumLeave a comment on The Fictional Spectrum: Is Spider-man Autistic? Every year around the second week of October, the Rock n Roll Hall of Fame unveils its nominees for induction the following year Unlike most people, I actually get excited about this. I don’t even mind that they branch out and include performers from R&B, pop, and rap. Here’s why: these performers have influenced rock, just as other rock performers have. The Rolling Stones, Elvis Presley, and the Beatles all covered R&B songs they listened to before they became rock stars. This is still true today. Korn covered Cameo’s “Word Up”. Kid Rock samples Metallica. I’ve decided to start giving my readers info on each nominee and tell you who I’m voting for. You can vote for up to five performers, and you can even vote more than once. Here are the nominees. Performers in this color are my picks for this year. 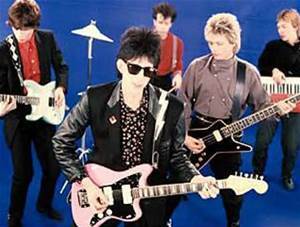 The Cars: This band started in the late 70’s, and was a big hit on both the rock and new wave scenes throughout the 70’s and 80’s. They were one of the first performers who used MTV to promote their music. 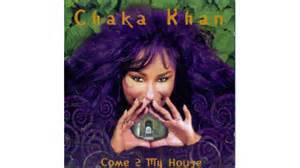 Chaka Khan–This disco performer was in a funk band Rufus before breaking off into her own act. She appeared in the movie “Blues Brothers”, and her music has been sampled by many hip-hop acts. Whitney Houston covered her song “I’m Every Woman” for The Bodyguard’s soundtrack. Chic–This disco act dominated the genre in the 70’s. 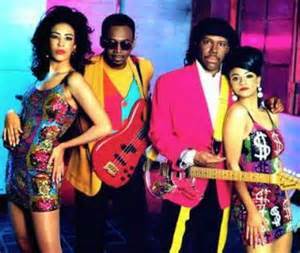 One of the members, Nile Rodgers, later became a producer and produced albums for David Bowie, INXS, and Duran Duran (does that sound rock enough for you, snobs?). Their song “Good Times” was sampled in the very first rap song ever, “Rappers’ Delight”, by the Sugarhill Gang. 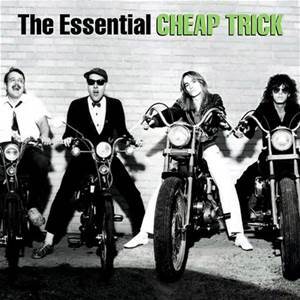 Cheap Trick–Aw yeah! I love this band! Rick Nelson, the leader, has a customized guitar with four (yes, four) necks! Their live album At Budokan became one of the best-selling live albums in rock, and is in the book 1001 Albums You Must Hear Before You Die. Chicago–To be honest, I’m not a fan of Chicago. 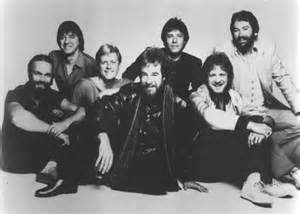 After Terry Kath’s death and Peter Cetera took over, this band changed from a pretty decent rock band into a light rock band with a terrible lead singer. (sorry Peter Cetera fans, but I never liked his singing.) But I agree with the fans, it’s been far too long for this band. They deserve this. 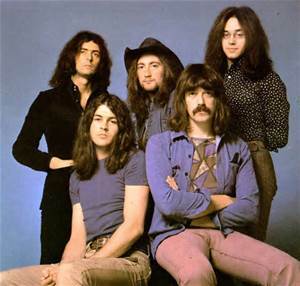 Deep Purple–One of the fore-runners of the heavy metal genre, this band made one of the most recognizable riffs in rock. Two of their members, Ritchie Blackmore and David Coverdale, went on to form other groups that you may have heard of. Ritchie Blackmore formed Rainbow (lead by the metal god Ronnie James Dio) and Blackmore’s Night, and David Coverdale formed Whitesnake. Janet Jackson–Michael Jackson’s sister finally gets her chance in the spotlight. Janet didn’t make her music just like Michael’s. She was a bad girl, maybe not as bad as Joan Jett, but she was not someone to take lightly. 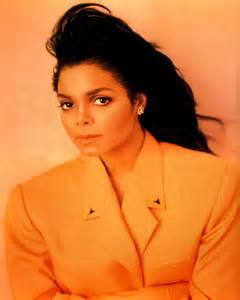 Her album Rhythm Nation was one of the best-selling albums in the 80’s. Let’s forgive her for that infamous “wardrobe malfunction”. I’m sure she’s learned from that mistake. 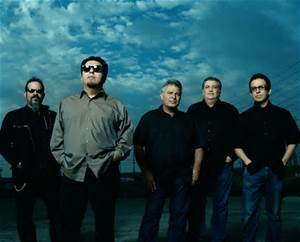 Los Lobos–This is an act I know next to nothing about. They’re a Mexican cover band that had their fifteen minutes of fame when they covered some songs for the La Bamba biopic that chronicled the life of Richie Valentz. 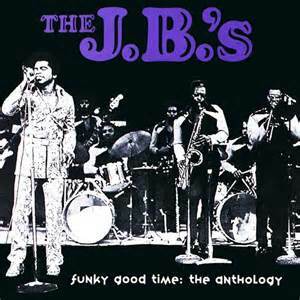 The J.B.’s–Surely you’ve heard of James Brown, the Godfather of Soul. His backup band was called the J.B.’s. They also had some songs without him. That’s pretty much all I know. 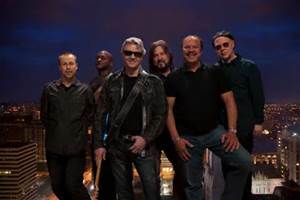 The Steve Miller Band–One of the best rock acts of the 70’s! It’s about time Steve Miller got in! He’s one of the best guitarists in the business! 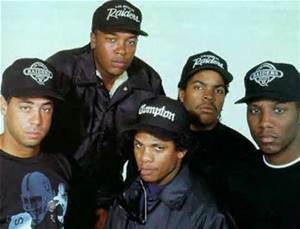 N.W.A.–Ok, time to educate some of you who are disparaging this inclusion. No, I don’t like the fact that they made songs about killing cops. But I want to ask you people a question: what was the point of the First Amendment. It said there would be no limit, even if a viewpoint is unpopular. Liberals have to put up with Conservatives watching Fox News. If you’re going to advocate Free Speech, you should not only allow popular opinions, but unpopular ones. I’m not justifying what NWA stands for, but I believe they still have the right to perform their music. That’s not a justification, it’s called standing by the laws we make. Sermon over. 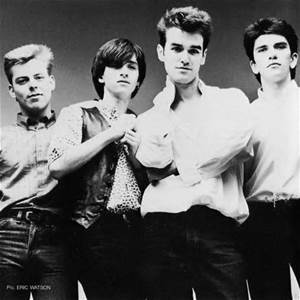 The Smiths–One of the premiere alternative acts of the 80’s. Their downbeat lyrics and edgy riffs made them a very popular underground act, particularly in their native UK. John Morrisey, the lead singer, went on to a solo act of his own. 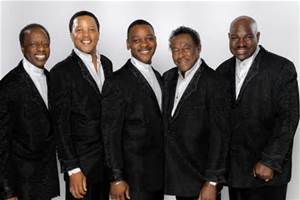 The Spinners–The Spinners were one of the definitive acts of the 70’s soul scene, following in the tradition of The Miracles, The Temptations, and many others. The Rock Hall has tried several times to induct them, but the snobs keep giving them low votes. Let’s stop doing this, snobs. Would you kick the Temptations out? 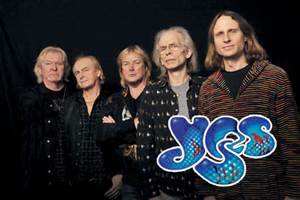 Yes–One of progressive rock’s best and longest-running supergroups, and a definitive representative of the subgenre. Yes deserves this. They’re one of my favorite prog rock bands, right up there with Rush, (who’s already in) Pink Floyd, and Genesis. (also already in) Chris Squire, who died this year, was one of the best bassists in the business. They’re famous for recording suites that take up a whole side of an album, and have done it even more times than Rush. This induction is long overdue. Now you’re informed. Go to the Rock Hall’s website and vote. Make your voice heard! 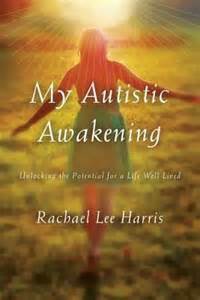 I’ve read three autobiographies from autistic writers: Look Me in the Eye by John Elder Robison, Thinking In Pictures by Temple Grandin, and now a new one–My Autistic Awakening by Rachael Lee Harris. She is a colleague of Tony Attwood, a renowned psychologist who has worked with autistics for years. In fact, Attwood is one of the foremost authorities on Asperger’s Syndrome. Rachael’s introduction begins by telling you about the man who Asperger’s Syndrome is named after, Hans Asperger. His “little professors”, as he called them, went on to diverse fields because his studies unlocked their potential. She then goes on to say “My Asperger life…can never be viewed in isolation; it can only be viewed through the prism of environment, upbringing, temperament, life experience, and personal values.” This is why we stress that autism is a spectrum: there is no constant.